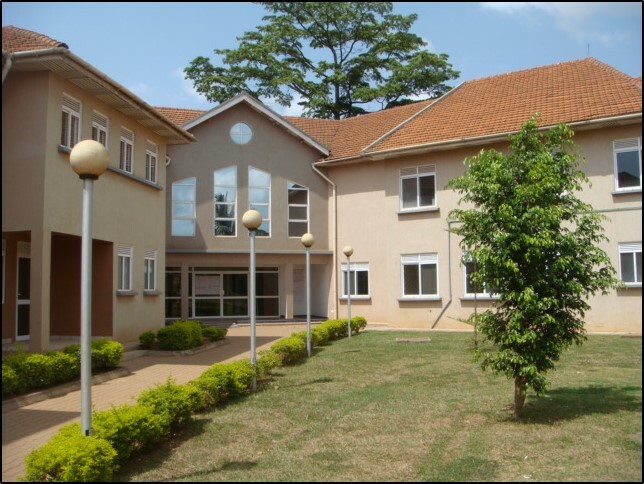 The Liverpool-Mulago Partnership (LMP) is an independent charity set up in 2008 as a partnership between two large maternity units; Mulago National Referral Hospital in Uganda and Liverpool Women’s Hospital in the UK. At the moment, both hospitals are under reconstruction and potentially relocating. Given the current circumstances; the LMP is being temporarily hosted by Knowledge for Change until further notice. Reducing maternal and infant mortality in in Uganda in line with Millennium Development goals 4 and 5. 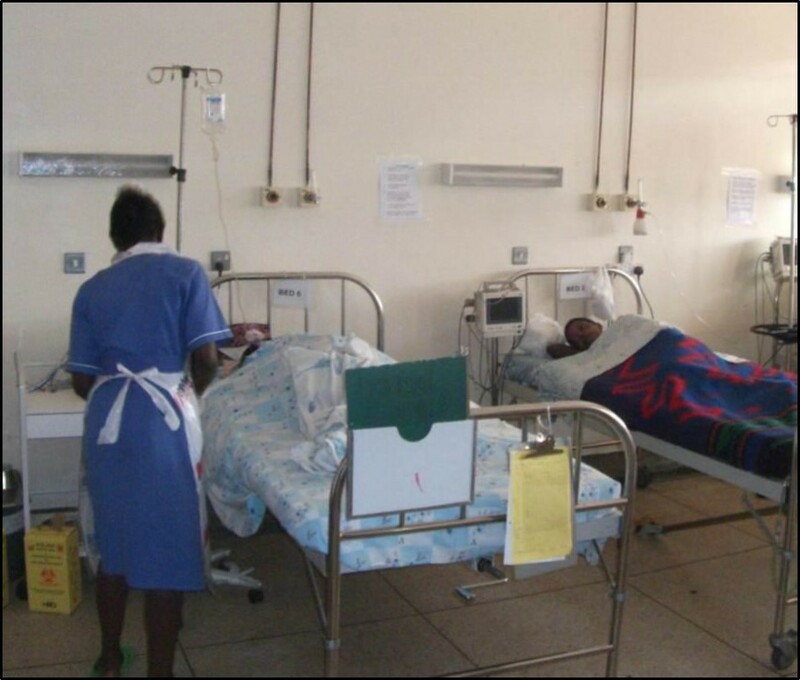 The development of a 6-bed High Dependency Unit (HDU, pictured right) – Prior to the LMPs HDU intervention, there was no obstetric high dependency unit at Mulago Hospital, meaning that critically ill patients remained on large busy wards amongst many other patients. This meant many critically ill patients did not receive the medical attention they required and died as a result of this or hospital acquired infections. The LMP set up a new 6-bed HDU in 2011 after securing £26,000 funding from the Tropical Health Education Trust (THET). The funding was used to refurbish the room, provide the necessary equipment and train local staff in intensive care. Since 2011, the LMP has redecorated the HDU twice and repaired or provided new equipment where necessary. A number of professional volunteers have also spent ime on the HDU to continue capacity building with local staff. For more information on the HDU project, you can read the most recent report here. Refurbishment of the post-natal, eclampsia and labour wards – the LMP has carried out a number of ward refurbishments at Mulago Hospital including decorating, providing new equipment, fitting and repairing sinks and showers. Much of this work has been carried out by professional volunteers using LMP or personal fundraising. Capacity building with staff working on maternity, neonatal and high dependency units and obstetric theatres – the LMP continues to base a number of professional volunteers at Mulago Hospital such as obstetricians, anaesthetists, midwives, neonatal nurses and biomedical engineers. Each volunteer works alongside local staff on the wards and theatres to exchange knowledge and skills. Protocol development / updating and maternal and newborn healthcare auditing – LMP evaluation staff and professional volunteers have carried out a number of audits on maternal and newborn health over the years. The audit work has included the examination of over 50,000 patient records at Mulago, collecting and analysing longitudinal data such as where patients have travelled from, their reason for travelling, their times of admissions and treatments, the nature of the treatment they received and any complications that occurred along the way. The audit work has revealed some staggering findings which have informed clinical practice and new protocol development at the hospital. quality accommodation for local and international staff and volunteers in close proximity to the hospital. 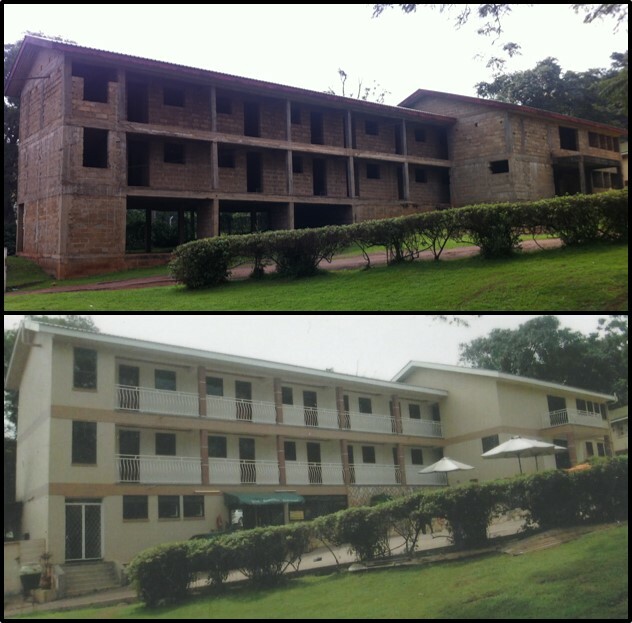 In 2012, the LMP began developing new guest house accommodation on the existing (but insufficient) Mulago Guest House site. £45,000 was invested in a new accommodation block consisting of 12 double en-suite bedrooms, a restaurant and 2 conference rooms in exchange for free accommodation for LMP volunteers at the site for a 3.5 year period until January 2016. The whole guest house has now been returned to Mulago Hospital management as a means of generating valuable income for the hospital. One of the biggest success stories of the LMP was functionlising Kisenyi Health Centre IV at the specific request of Kampala City Council Authority (KCCA). Kisenyi serves one of the most diverse and deprived communities in the Kampala region, with large numbers of poor refugees living in the predominantly slum catchment area. The LMP were shocked to find such attractive purpose-built premises, comprehensive infrastructure, a ful complement of staff, an ambulance service and copious equipment and consumables in place; Kisenyi (pictured right) had been newly built in 2008 yet the maternity facility had never opened for patients in over 5 years except for a few outpatient and antenatal services. The vast majority of patients were referred to Mulago Hospital (or referred themselves). An initial scoping assessment indicated the need for minor but critical infrastructural interventions including the provision of sinks in delivery rooms and the newly planned neonatal unit and theatre area (sluices and drains). In January 2014, a multi-disciplinary team of LMP volunteers, working closely with local staff and KCCA representatives, managed to organize the existing facility and resources and provide the necessary minor improvements (curtains etc.) enabling the Labour Ward to open at the end of the week. The first ever delivery took place on the Friday morning. SVP volunteers also worked with local staff to identify and set up a new neonatal unit and operationalised a fully functioning theatre. Many staff had suffered skills wastage after not practising for so long which had led to demotivation; therefore extensive training and protocol development were carried out with local staff to bring them up to an adequate level. Numbers of deliveries have continued to increased markedly and Kisenyi is now a highly functional Heath Centre IV facility. 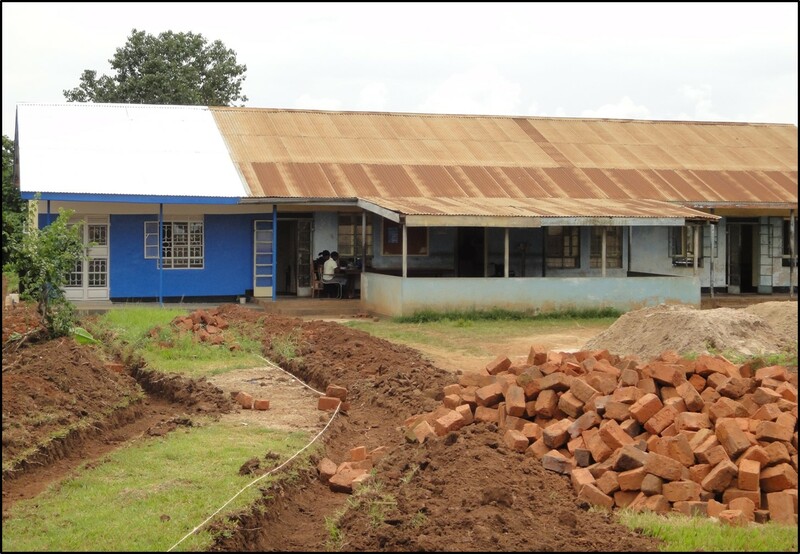 The LMP partnered with Kasangati between 2008 and 2013; most notably, the LMP built a post operative ward (right) to enable women to receive post operative care in a safe area, separating them from labouring women and other patients using the main ward. The LMP also built a pathway from the main building (which housed the labour ward, post operative ward and antenatal clinic) to the theatre. Previously, there was no safe pathway, therefore labouring women would have to walk over 40 metres across an uneven dirt track to go to theatre for a caesarian section. In addition, the LMP decorated the maternity unit and provided sinks, drainage and water harvesting facilities to enable staff and patients to wash their hands and reduce infection risk. 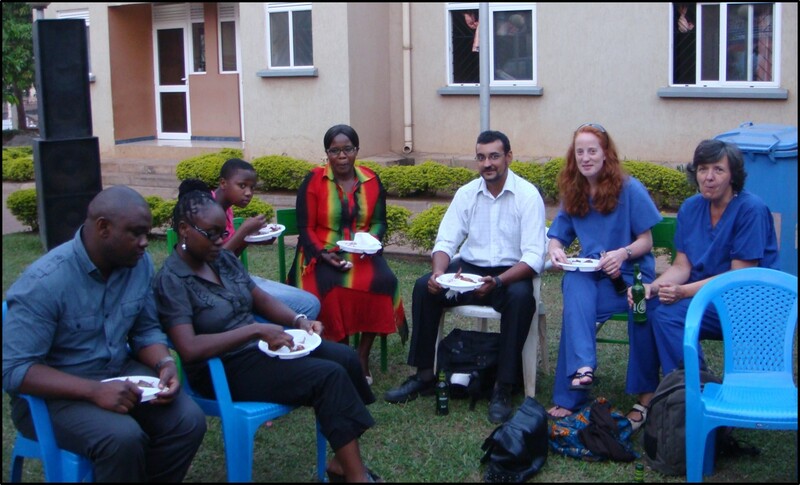 A number of LMP volunteers were based at Kasangati to run training programmes, and it was arranged for the Kasangati medical officer to complete a Diploma in Reproductive Health at Liverpool School of tropical Medicine in early 2013. Between 2008 and 2013, the LMP conducted several training and public health promotion events at Kabubbu HCIII. A full inventory of equipment was also conducted by a biomedical engineer as part of the renovation of the centre and other LMP volunteers carried out staff training and capacity building exercises. 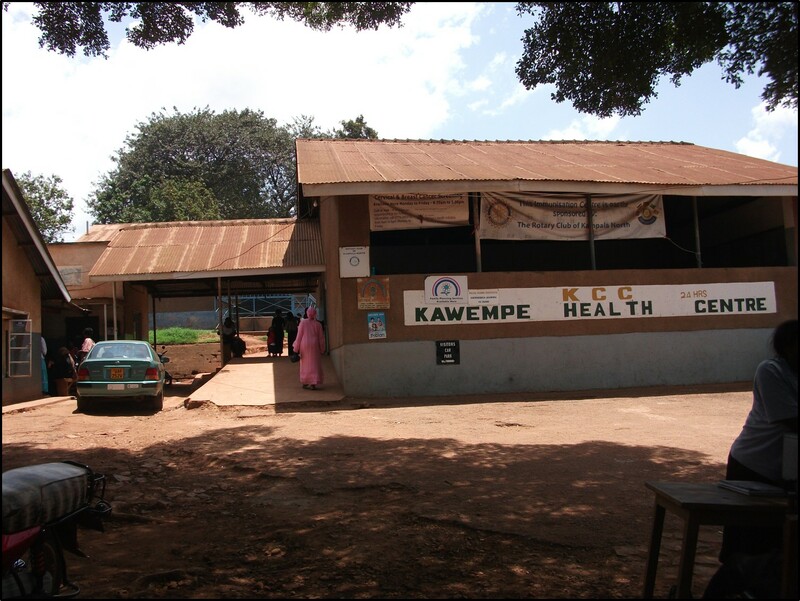 The LMP worked alongside staff at Kawempe HCIV to renovate the operating theatre that was unusable when the LMP carried out its first scoping visit in 2011. The LMP also worked closely with the local staff to develop training in cervical cancer screening as well as sexual health promotion and education. Kawempe was demolished in 2014 and has been replaced by a much larger new facility. For more information on the LMP’s Health Centre interventions, you can read the most recent report here. 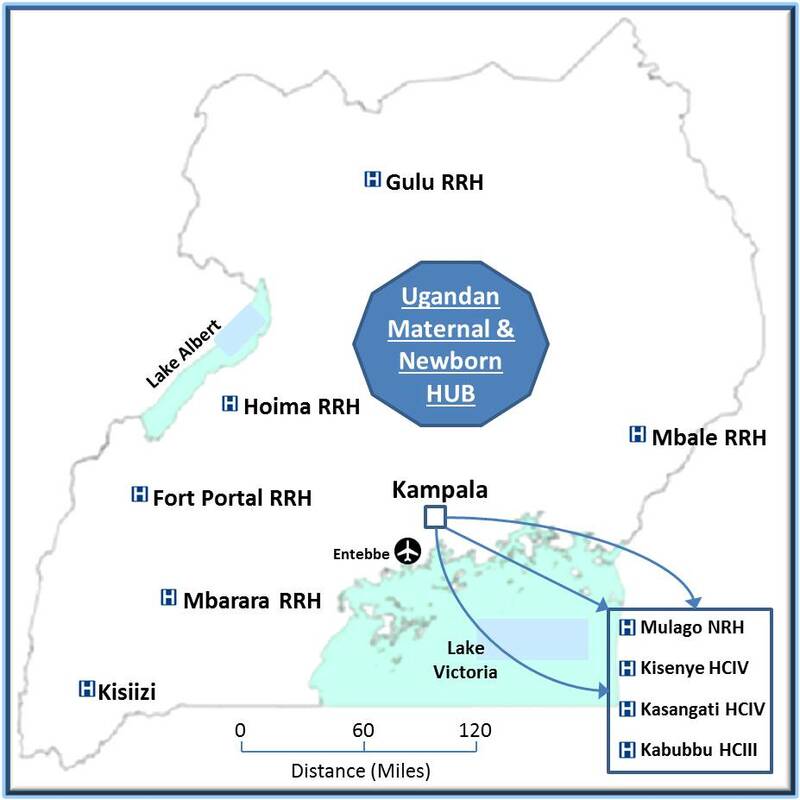 The LMP carried out a study in 2011, funded by UK government’s International Health Links Funding Scheme, to examine the activities of similar partnerships to the LMP operating in Uganda. It concluded that a number of such partnerships existed but were working in complete isolation, despite conducting very similar activities to one another which could be streamlined to improve efficiency. The LMP received funding of £25,000 from the Tropical Health Education Trust (THET) to establish a coordinating body to bring together the various partnerships and enable them to work more closely with one another. An initial workshop was organised in 2012 which lead to the creation of the Ugandan Maternal & Newborn Hub (UMNH). UMNH was hosted by the LMP but comprised 9 other Health Partnerships based across Uganda. A number of projects were run through UMNH including the Sustainable Volunteering Project (SVP), the Infection Prevention Control Project and the first phase of the Biomedical Engineering Project. More information on the UMNH can be found here. The LMP received funding of £495,000 from the Tropical Health Education Trust (THET) in 2012 to run a 3 year professional volunteering programme. 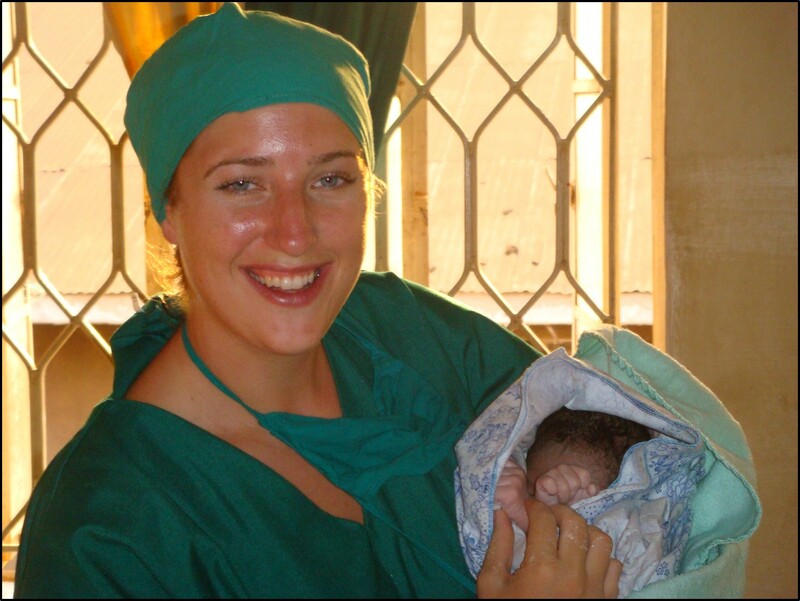 This programme (the SVP) placed over 50 professional UK long-term volunteers across the 9 Ugandan Maternal & Newborn Hub (UMNH) partnership facilities to engage in training and capacity building activities. The volunteers came from medical, nursing, midwifery, biomedical engineering and social science backgrounds. More information on the SVP, including a full project report, can be found on the UMNH web page (www.Knowledge4Change.org/UMNH).